Those of you who’ve been reading the Resurface newsfeed for some time will have seen the name Frozen Fish surface on a number of occasions. All puns intended. With a back-story in the manufacture of bespoke props and highly engineered solutions for the Film and TV world, owner Glenn Haddock and the team at Frozen Fish Design (FFD) discovered a requirement for their expertise on the other side of the lens. 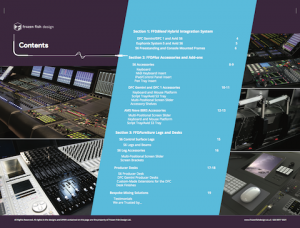 After being asked to build a producer’s desk for a discontinued AMS film console they found a growing number of facilities needing a level of hybrid mixing console integration not being supplied by the traditional manufacturers. Read the original story here. Since our original post the team at Frozen Fish have supplied some of the worlds most advanced and prestigious audio facilities with ergonomically designed and precision made mix solutions. 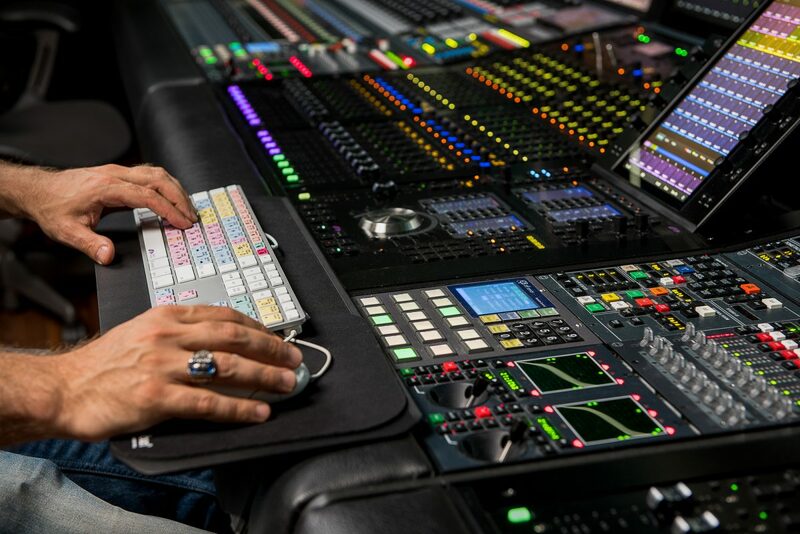 Including hybrid AMS DFC / Avid S6 systems for Lucasfilm’s Skywalker Ranch and Abbey Road Studios, alongside customised Avid S6 accessories for Stephen Lipson and Pinewood Studios. Choice brings flexibility. Flexibility, as Kelis almost said, brings a wider customer base to the studio. At the same time reducing risk in any technology investment. Understandably perhaps, there’s little or no appetite from the major manufacturers to produce accessories. Certainly not accessories which enable one vendor’s hardware to integrate with their competitor’s. Product ranges tend to stop at ‘legs’. Where precision metalwork isn’t the core skill of the console-maker, those legs are bought-in and marked up, often ending up feeling downright expensive as a consequence. Meanwhile there’s a customer base with a set of needs which is much less homogenous and static. Different ways of working, ergonomic preferences, clients with particular demands, finite space in which to accommodate multiple workflows. ..Making an either/or choice wasn’t possible … Not if we’re staying true to “Who am I building this for” and the feedback I had. 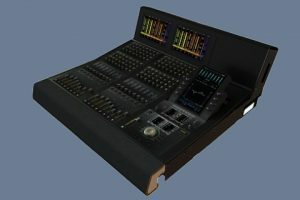 Where we ended up was an obvious need to accommodate both Avid S6 and AMS DFC, and to do that in a way that’s elegant and flexible from show to show. All of which throws the door open to third party manufacturers like FFD. Manufacturers for whom designing and building extraordinary things is their core business. Having seen the demand for mixing console customisation grow from the occasional one-off to a steady stream of enquiries from around the world, Frozen Fish are now offering several of their most popular solutions as products. Essentially offering their haute couture collection as ready-to-wear. At the same time offering these products for sale via the familiar reseller channel, so that they can be easily specified and sourced alongside the console technology itself. 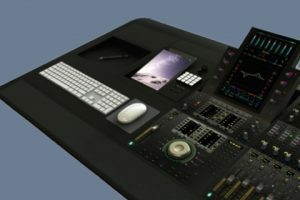 With so many things – from studio lighting to monitor matrices and remote preamps – being controllable by iOS apps, having an integral space on the console is a great idea. Where Frozen Fish first came to our attention, a DFC-profile bucket within which can be installed a 16 Fader Avid S6 and master section. 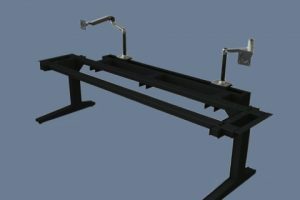 Considerably more cost effective than the manufacturer’s legs, with optional sliding VESA arms for repositioning displays. 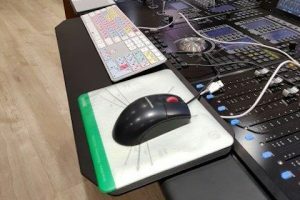 A larger and more cost effective keyboard tray for Avid’s S6 range. To find out more about the Frozen Fish Design range contact us at info@resurface.audio to find your local reseller. 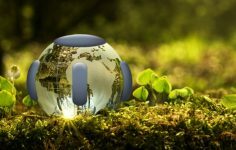 Businesses, governments and institutions around the world are talking about “The Circular Economy” and how it might contribute to saving the planet. Resurface looks at what it is, and how it relates to the way we consume audio technology. With the 2019 awards season fully underway, we look at the Best Sound category nominees across the board, including today’s AMPS Award announcement. Predictions are particularly tricky this year. 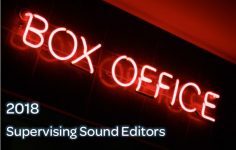 We look at the all time top 50 film supervising sound editors, ranked according to worldwide box office. 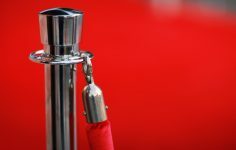 Updated with 2018 data, we highlight the top dogs, the movers and shakers.